Want it by Saturday 27th April? Order within 19 hours, 41 minutes and choose Royal Mail Tracked 24 Hour at checkout. Perfect for all those traditional British April showers! 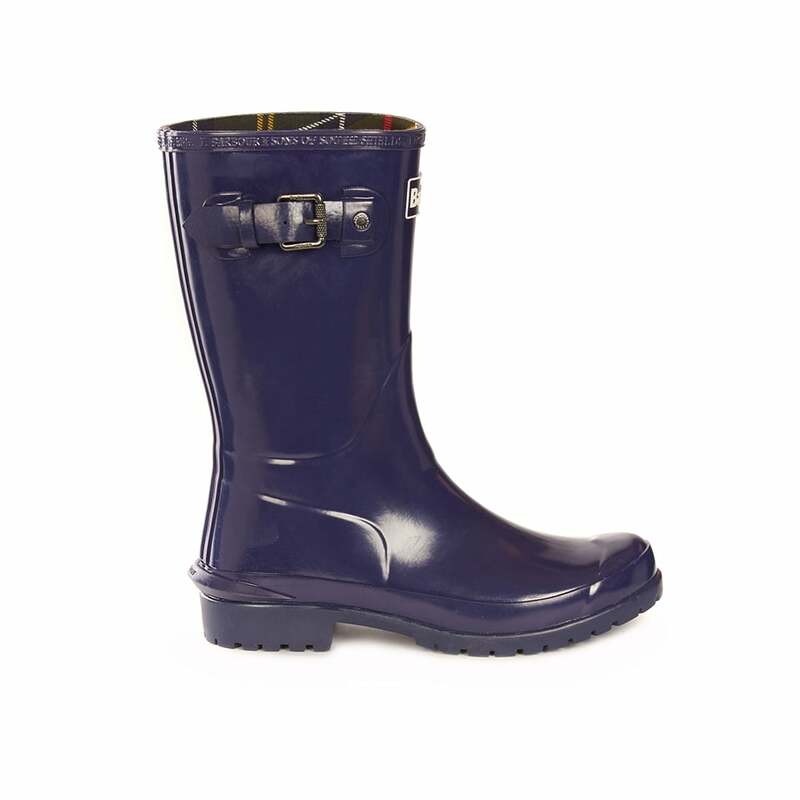 These shorter length wellies have been given a modern twist with a range of on trend spring time colours. An adjustable side gusset allows you to get the perfect fit on these wellingtons, and is finished with a brass snap fastener to keep them extra secure. A classic for any springtime wardrobe these traditional boots are finished with Barbour branding on the top line and a printed tartan lining.